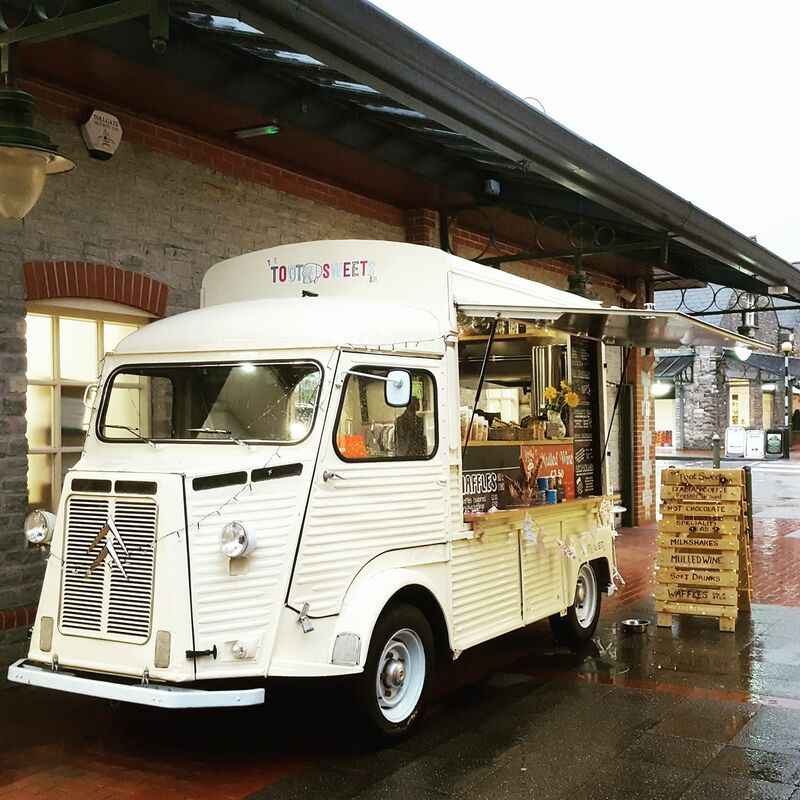 If you’re looking for something a little different to serve treats and drinks to your guests then have a look at Toot Sweet’s fully adaptable vintage Citroen H van which can be set up according to your requirements. 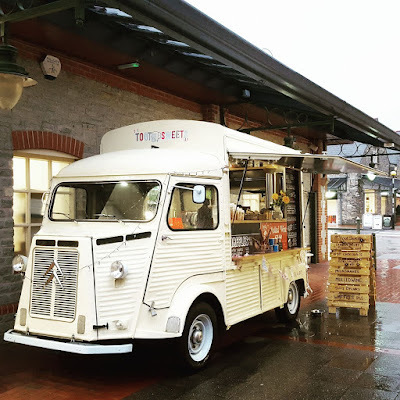 The van is called Belle and painted a neutral cream to complement any theme, with rich slate grey walls and oak worktops she’s full of character, class and fun! Belle doesn’t have an engine so she can be set up anywhere – inside or outside. The van is available as a barista coffee van, or as an ice cream/sorbet/boozy sorbet parlour, a cocktail bar or mobile bar and you mix and match our services to suit your event! Having no engine (she’s towed on site) Belle is safe to be parked within the grounds of your wedding venue, parked outside your marquee or tipi. If it can be get into your venue then it looks fantastic and a great treat for guests! 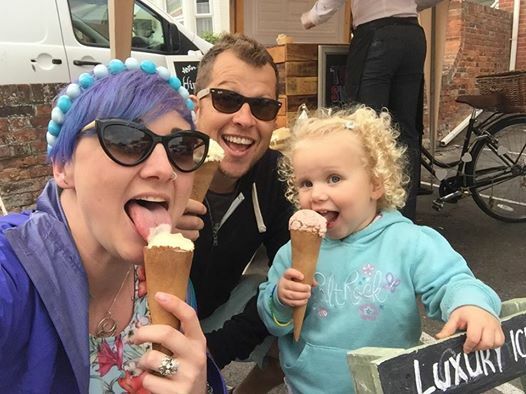 Toot Sweets provide locally hand-made, multi-award winning ice creams and boozy sorbets. With nearly 100 flavours to choose from there’s something for everyone, from Baileys, Honeycombe, Melon & Pimms, Pinksters Gin & Tonic, Eton Mess, & Belgian Chocolate, and they can even provide diabetic and vegan ice cream, all served in luxury waffle cones or environmentally friendly pots with a spoon. Guests have unlimited ice creams for a 2 hour service and can help themselves to toppings such as sauces, chocolate flakes, fudge pieces, sprinkles and the like! 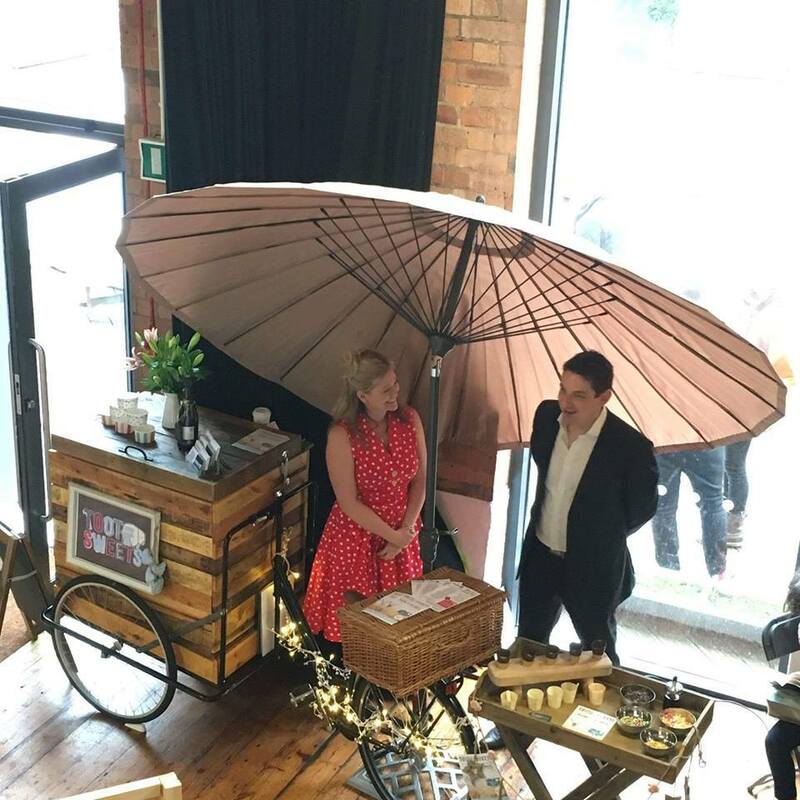 Toots Sweets also have an ice-cream tricycle called Beau so perfect if space or access is an issue. They’ll be bringing Beau to the fair so you can meet him! 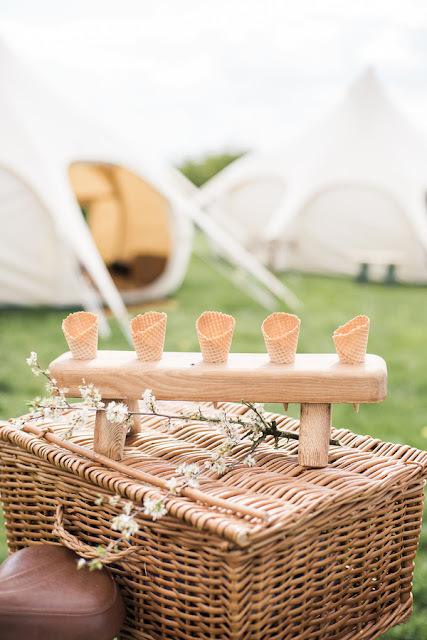 Decorations, parasol and chalk board as well as a vintage butler’s tray is included – the trike is eco-friendly and can set up anywhere without the need to be connected to the electric supply! 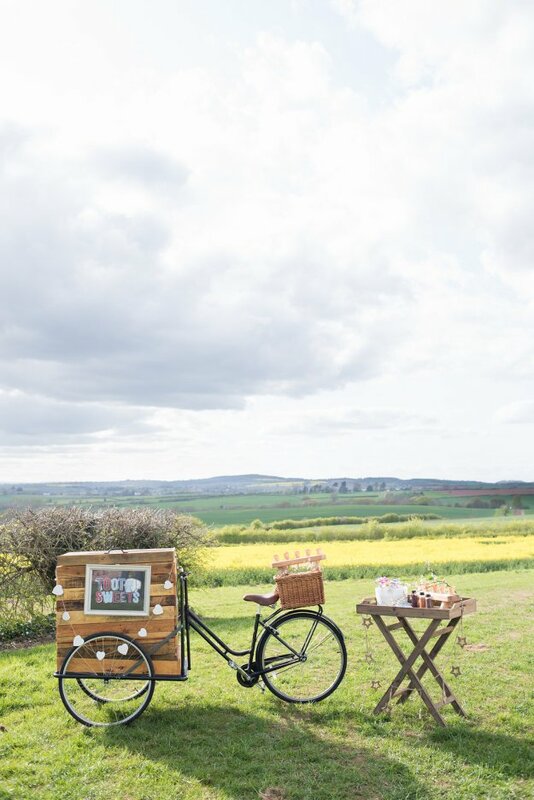 Rustic in style and beautifully hand-crafted design which makes the trike stand out from anything else out there. Toot Sweets pride themselves on their exceptional service with friendly, fun and smiley staffing all in vintage attire. 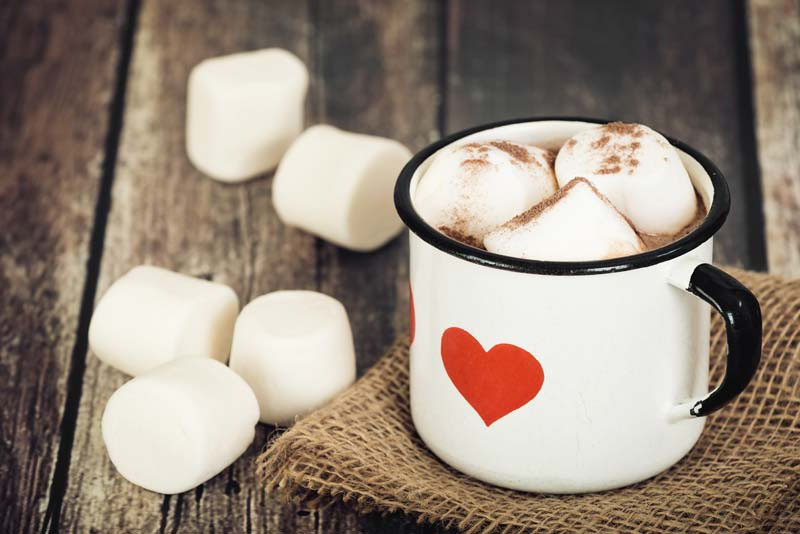 They can also supply a cocktail bar, prosecco & Pimms station, hot chocolate, coffee, fully stocked mobile bar, hot waffles n ice cream and any other combination you require from our vintage van Belle too – whatever your sweet tooth desires – The Toot Sweets Van and Trike can adapt to suit! 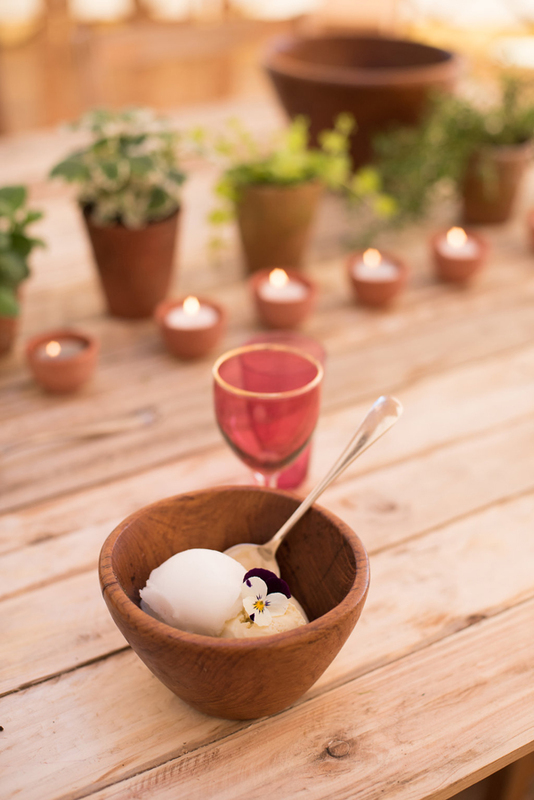 We love the idea that guests can have a perfectly blended brew and a waffle if you’re having a winter wedding or ice cream and sorbets if it’s the Summer! Once you’ve tried Toot Sweets delicious flavours at the Fair they’ll be on your ‘must have’ list for your wedding day!